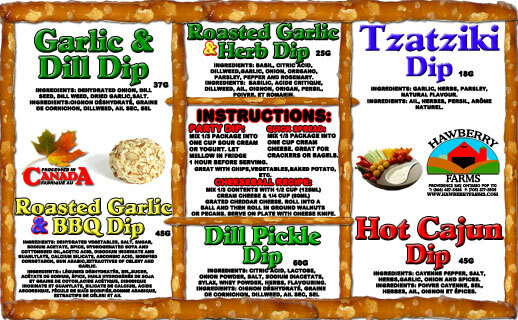 Click the button below to add the Dip Mix Combo #1 to your wish list. Dill pickle dip, roasted garlic and herb dip, roasted garlic and bbq dip, hot cajun dip, tzatziki dip, garlic and dill dip. Ingredients: dill pickle dip, roasted garlic and herb dip, roasted garlic and bbq dip, hot cajun dip, tzatziki dip, garlic and dill dip.